Hiya guys! Let me ask you a question... have I been stamping too much lately? Hmm... nah #stamper4lyfe. Haha. But on a serious note, stamping has quickly become one of my favorite techniques to do. Because of that I am constantly searching for new stamping polishes, plates, and stampers to try out. 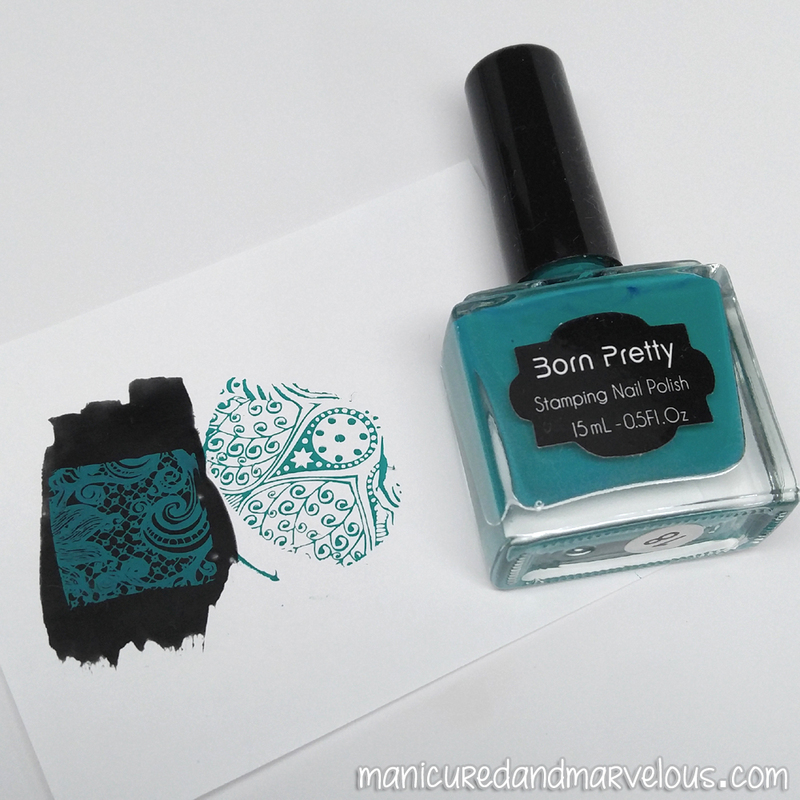 Today I have a dual-headed stamper and a teal stamping polish from Born Pretty Store to show you guys. Of course I had to do the ultimate test and create a mani for you guys to check out. Because Valentine's Day is near and I am feeling super smexy I had to go with some lace stamping. What do you think? I, for one, love how this turned out! Especially the color-scheme and the black french adds the perfect touch. Funny story, I didn't have any vinyls and I felt odd freehanding it so I used bandaids haha. You guys can watch the full-length video now up on my YouTube channel. Most of the items used to create this mani are press samples from Born Pretty Store I picked out to review for you guys. These items from the shop caught my attention for a few reasons... besides the obvious being addicted to stamping haha. All the current stampers I use either have a clear head or a white one, which is fine 99% of the time except when I am working with white polish. As for the polish, I mean I think we all understand the struggle for great stamping polishes! I kept seeing these around and I could not resist any longer. So let's take a closer look at the stamper first. The dual double-sided stamper retails for $2.99 each and can be found listed as item #21427. It's not super squishy, definitely not a 'marshmallow' stamper but it does have some squish. I didn't prep the head like you normally would a new stamper and it ended up picking up the image right off the bat. Overall I have to admire, I really like it. Granted it's not the best stamper in my collection and will not replace my favorite, but it does get the job done well. Really well, in fact better than expected. Definitely recommend it for anyone starting out that doesn't want to invest too much money right away. The polish shown here is a specifically a stamping polish from Born Pretty Store and it retails for $4.79 per bottle. Each bottle is 15ML so it is a full-size. The one shown here is #18 and it is listed as item #22179 in the shop. As some of you may know, I do suffer from chronic headaches so I was initially afraid of what the smell would be like with this polish. Now there is a very slight tinge to the smell that is different than normal nail polish, but it is not strong or overwhelming. I wouldn't be surprised if most people wouldn't even notice the minor difference in smell. 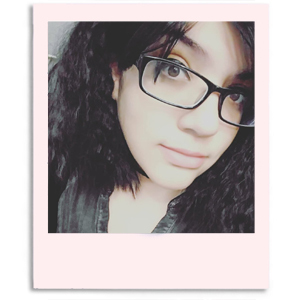 Of course I had to put it to the test and as you can see it shows through perfectly over a black or white background. You guys are going to be seeing a lot more of these Born Pretty Store stamping polishes in my manis and videos because going off this one, I love it! I ended up purchasing a few more myself so I'll definitely let you know if my feelings change when I test those out. Have you guys ever tried out their stamping polishes yet? What's your thoughts on them? Omg, these colours together are amazing! Smexy nails! 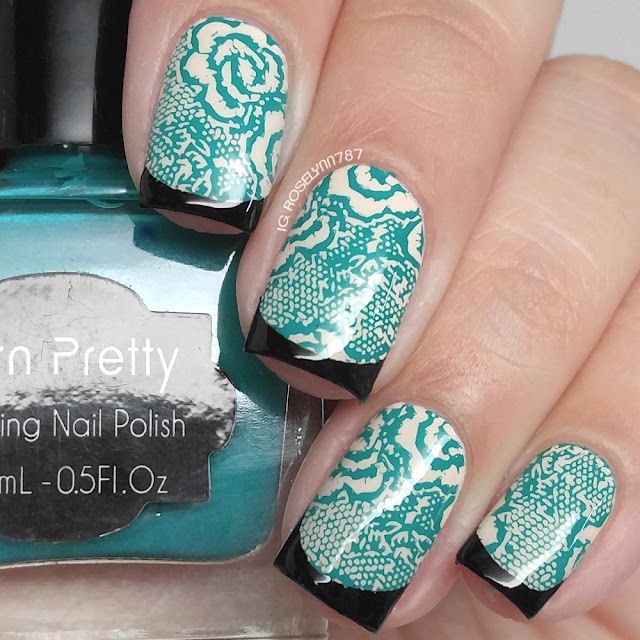 I have a couple BPS stamping polishes to test out, and I think I even have this exact shade! Awww...this is simple gorgeous. Love the black french tip with great stamping design. Love it!!! so gorgeous!! I need to get into stamping, love the look! Love this combination of colors with that image. Gorgeous! The stamping looks beautiful! And the black tips go so well with the entire look! Kudos.